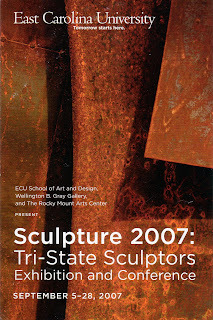 Sculpture by members of the Tri-State sculptors Education Association will be on view in the Wellington B. Gray Gallery and the Rocky Mount Arts Center from September 5 until 28, 2007 with outdoor entries staying on view through January 31, 2008. This exhibition includes Diamonds in the Rough (pictured below) by Vista Studio artist Sharon Licata (also pictured below). 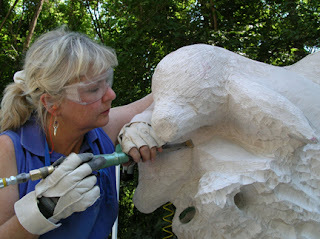 To visit the website for Vista Studios where more of Sharon’s stone carvings are featured please click here.